Not all triggers are bad. Sometimes you need to get triggered. The concept of “triggers,” things that you might see, hear, feel or do that could set off a change in thinking, feeling and behavior is an established part of the way of thinking in the recovery field. People learn something called “relapse prevention” in an effort to avoid having things set off a craving for drugs, alcohol or a return of depressive symptoms. Just avoiding negative triggers is not enough for many people. You need some things in your life that trigger positive behaviors and emotions also. Psychologists use the word “prime” instead of trigger for part of what we are talking about here. The concept is that seeing or experiencing something can “prime” your brain for a particular emotional response. Once primed it is easier to experience that feeling. An example of a negative “prime” or trigger. You walk into the house and see pictures of your ex. There are some broken things from your last fight. Lots of reminders of your disastrous relationship. The result? You are triggered to feel depressed or even to drink and use. An example of a positive “prime” or trigger. What if you redecorated that place? Put those old photos away. Go somewhere new with a friend and replace those photos with some new pictures. Same place, but this new environment, a few new things, some happy-making pictures can set off a positive mood. Below is a list of things that might be positive triggers for you. Things that make you feel loved are positive triggers. What says love to you? Is that restricted to a sexual partner? Think about things that have made you feel loved in the past. Mementos from a friendship, reminders of parents, children or things that you have done for yourself to express self-love. Consider buying yourself a gift. Something you will see each time you come through that door that says I care about myself. For some people, this happy trigger can be a pet. 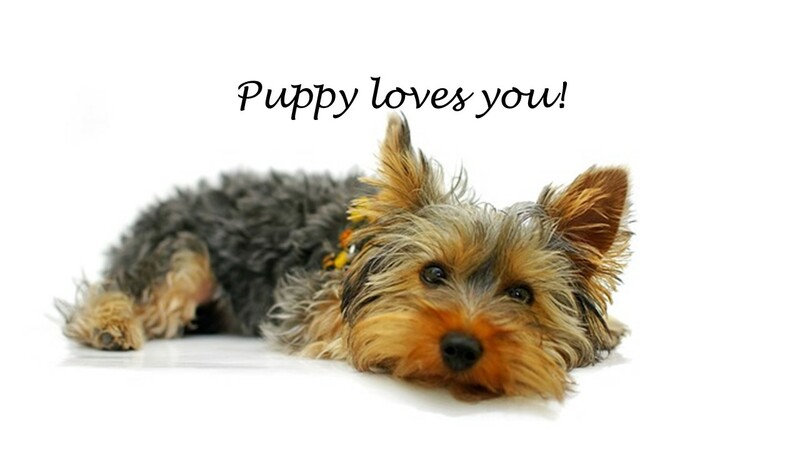 What says unconditional love like the greeting a pet gives you when you come home? Don’t have or haven’t had a pet? Look for a picture of that animal you want to have someday. Put that pet substitute in a prominent place. Tell yourself and the animal picture each time you see it that one day this will be yours. For others, your love trigger would be a souvenir you bought for yourself or pictures of a place you plan to take yourself someday. Have you started a new hobby? Put out reminders of this new part of your life so that when you walk through the door you feel at home and loved. Look for things that bring up memories of feeling good about yourself. Did you win a contest once? This does not need to be some grand accomplishment. Small doses of self-esteem mount up. Nothing builds self-esteem as quickly as doing something for another with no expectation of receiving anything in return. What if you volunteered to help someone else? Would that help you feel good about yourself? What makes you feel happy? What puts a smile on your face? Rent some funny movies. Put up pictures of funny sayings. Write out your favorite jokes and post them in prominent places. Have you seen a picture online that makes you smile? Make it your wallpaper or print out a copy and post it where you will see it often. Cute cat videos get a lot of looks because they help us feel good about things. Bookmark those happy videos. When you feel down revisit the positive things you have experienced. Have people in your life that trigger feeling good. Evaluate your friends and the people who you spend time with. Do they help you feel good about yourself? If not start renovating your friendships. You may want a picture of a religious figure, you know the one I mean. Was there someone whose life you admired? Find or draw a picture of them and put it up where it can trigger your inspiration. Work on making new positive friends. Deepen friendships with others that trigger your positive emotions. Smells are great memory triggers. Is there a scent from your past that reminds you of happy times? Cinnamon at Christmas or flowers in springtime. Scents are strong memory cures. Herbs have been used for centuries because of the positive emotions they create. Get yourself a lavender or sage plant. Try some potpourri or some strongly scented cooking. Whatever scents trigger you in a positive way, work on having them with you more often. Replace those negative triggers with a positive one. As you work on your recovery be alert for the things that trigger negative feelings. Does something make you depressed, anxious or remind you of bad times? What makes you want to drink or use? Work on exchanging those triggers for positive ones that will support your recovery and happiness. This entry was posted in Recovery and Resiliency and tagged positive triggers, primes, reminders of your recovery, things that make you happy, triggers by David Joel Miller. Bookmark the permalink.